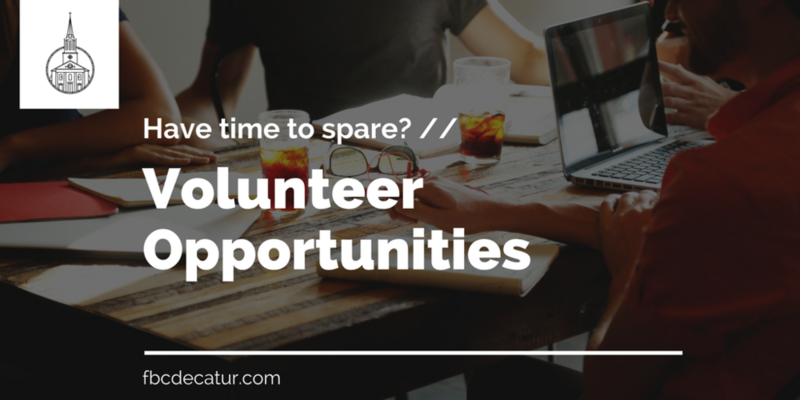 Interested in giving some of your time at First Baptist Church of Decatur? We have a lot of volunteer opportunities you might be interested in! Would you like to welcome others to FBCD? Are you good at welcoming others, answering phones, and performing light administrative tasks? We need several individuals to become substitutes for our normal front office volunteers. Our most urgent need is for someone to fill a shift of Thursdays from 9am-1pm!